Ever since Cleveland disc jockey Alan Freed first called the records he was playing "rock and roll," northeast Ohio has been a driving force in this musical phenomenon. From the disc jockeys who spun the music to the musicians who played it, the clubs that welcomed it and fans who encouraged it, rock and roll has been as much a part of this north coast as the lake that hugs it. 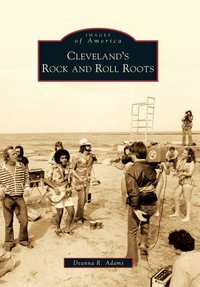 It was those early years, from the 1950s on, that led Cleveland to becoming the "Rock and Roll Capital of the World" and ultimately home to the Rock and Roll Hall of Fame and Museum. While the city spawned several widely recognized names, such as the James Gang (with Joe Walsh), the Raspberries (with Eric Carmen), and Bobby Womack, it is the music itself that will keep this town rocking on the shores of Lake Erie, and beyond, for a long time to come.